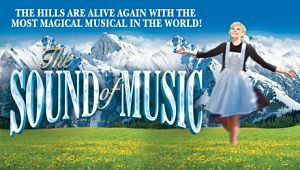 Bill Kenwright's tour of The Sound of Music is due to start again on 18th May at Aylesbury Waterside Theatre with the following. cast: BBC1’s The Voice star Lucy O’Byrne is to reprise the role of Maria and Coronation Street’s Andrew Lancel will again play Captain Von Trapp. BBC1’s The Voice runner-up and award-nominated Lucy O’Byrne became a household name when she shot to success as the runner-up in the TV talent show. With chart-topper Will.i.am as her mentor, and biggest fan, Lucy made history as the first classical singer to reach the final, impressing the nation with her stunning vocal range. Now, having recently performed at the BBC Proms, she makes her musical debut as the young Maria. Andrew Lancel is best known as super-villain Frank Foster in Coronation Street, a role that earned him a 'Villain of the Year' award at the British Soap Awards. He also played DI Neil Manson in the long-running ITV television series The Bill. His numerous stage credits include Bill Kenwright’s touring productions of The Small Hand and Twelve Angry Men. Andrew starred in Epstein: The Man Who Made The Beatles in Liverpool and London, and most recently appeared on stage in The Damned United at the West Yorkshire Playhouse. Joining Lucy and Andrew on stage are Jan Hartley (Mother Abbess), Duncan Smith (Max), Isla Carter (Baroness Elsa), Kane Verrall (Rolf), Annie Horn (Liesl), Zoe Ann Brown (Sister Margaretta), Kate Scott (Sister Berthe), Tammy Davies (Sister Sophia), Jude Neill (Ursula), Anouska Eaton (Baroness Elberfeld), Jon de Ville (Franz), Pippa Winslow (Frau Schmidt), Scott Ainslie (Admiral von Schreiber), Piers Bate (Baron Elberfeld) and Lewis Barnshaw.